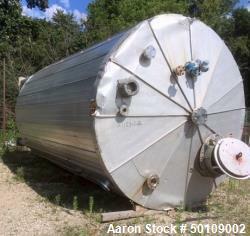 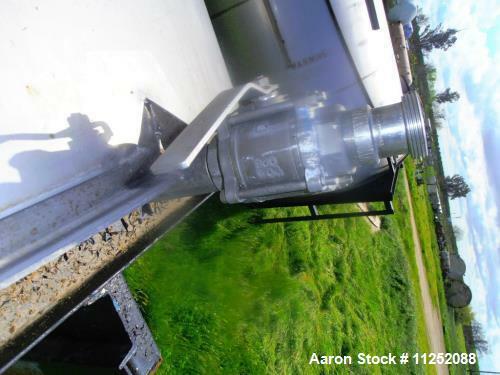 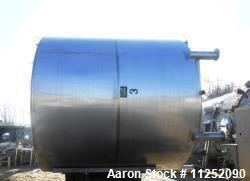 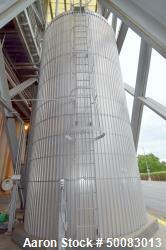 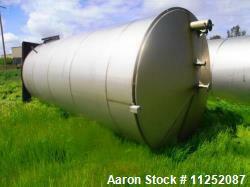 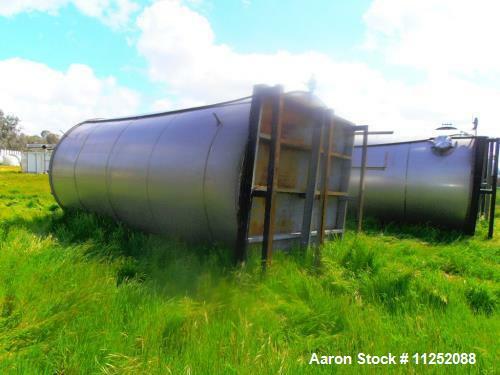 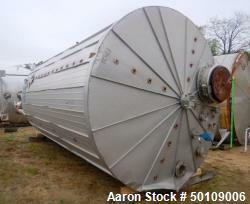 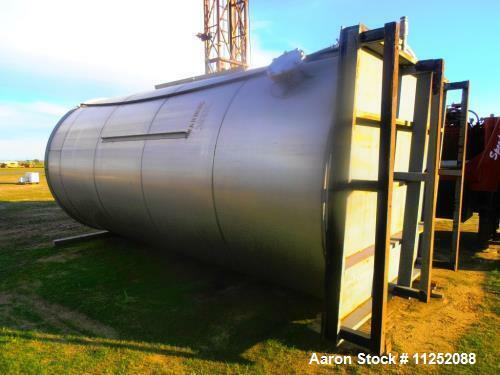 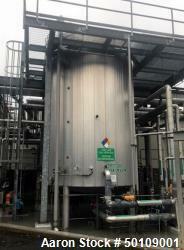 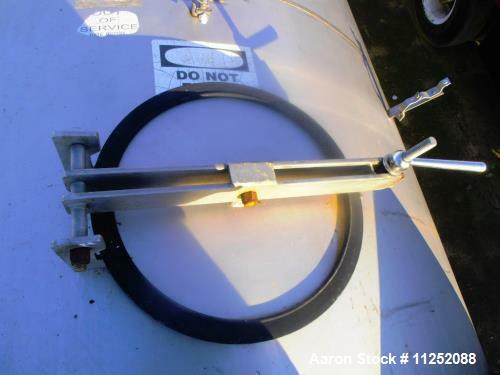 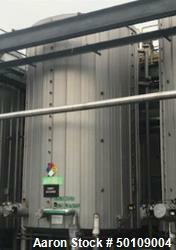 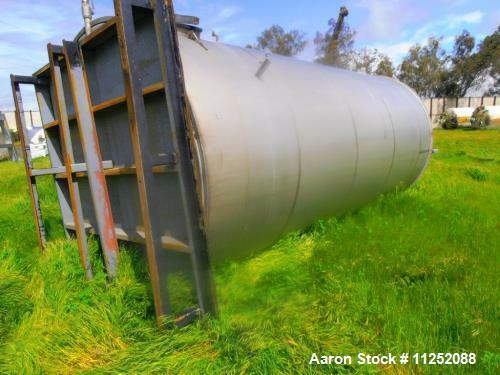 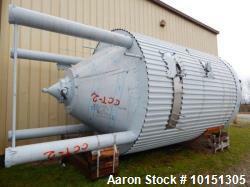 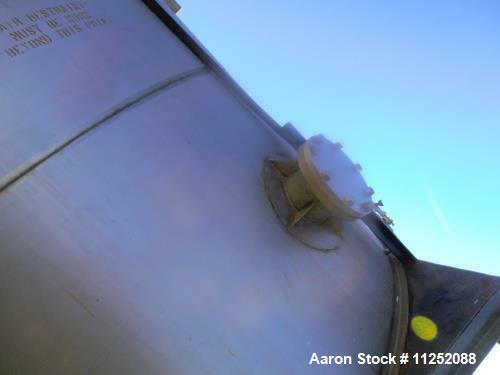 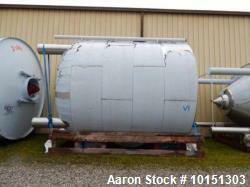 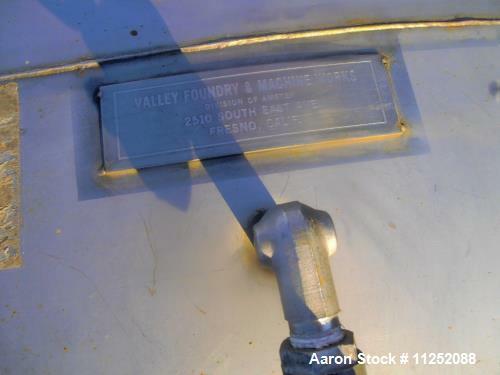 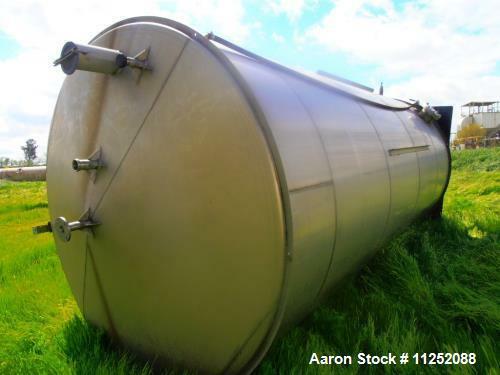 Used Valley Foundry stainless steel storage tank, approximately 7,000 gallon capacity, previously storing beverages. 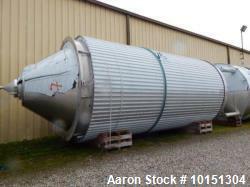 Measures 8'3" diameter X 18' straight side. 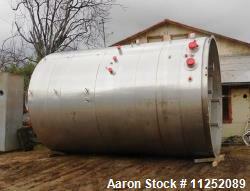 Vessel has cone top with sloped bottom. 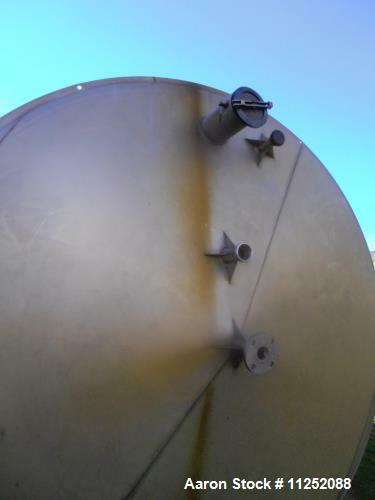 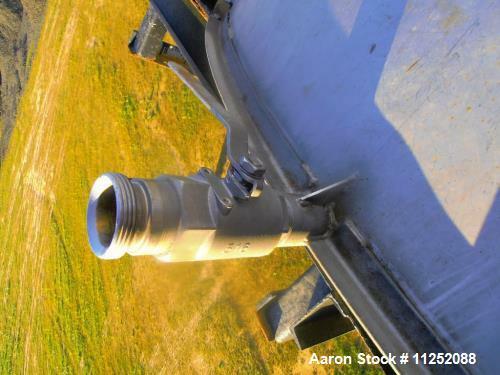 Top head includes 2" center top opening with 6" flange, 2", 3" & 6" vent. 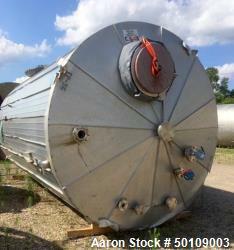 Side includes 13" side port flange, 18" manway with cover. 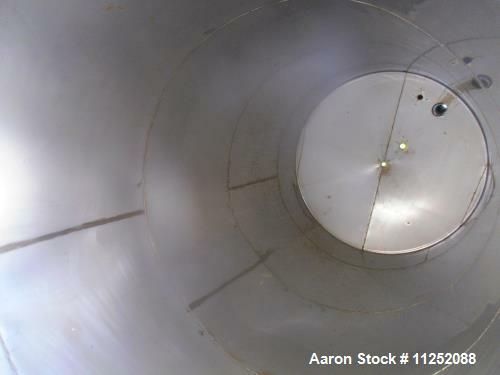 Bottom is a slight sloping bottom leading to 2-1/2" side bottom outlet.